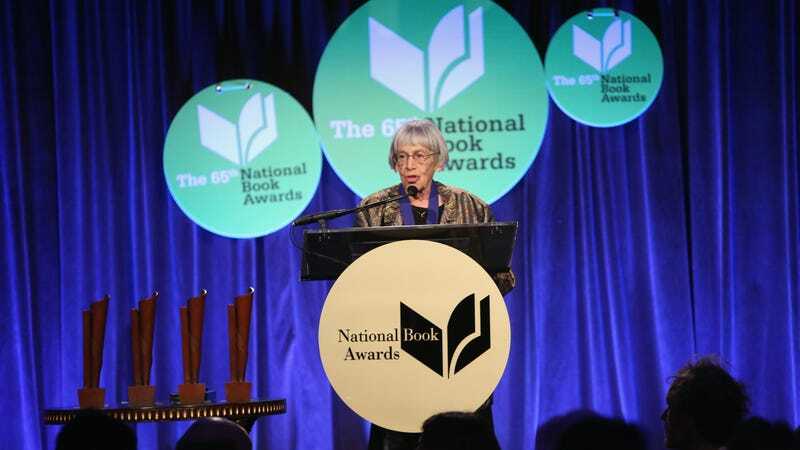 The New York Times reports that Le Guin’s son confirmed her death, which came after an extended illness. During her long career, the author won multiple Hugo, Nebula, Locus, and World Fantasy awards, and became one of few women to be named a “Grand Master” by the Science Fiction and Fantasy Writers of America. In 2001, she was named a “Living Legend” by the Library of Congress. Le Guin made headlines last year for speaking out against “alternative facts” in a strongly-worded letter to an Oregon newspaper—a small news item when taken along with the scope of her magnificent literary career, but a reminder of how much a voice like hers will be missed. (It’s also an important reminder of why you should start reading her works if you haven’t already.) Our thoughts go out to her friends and family at this time.